Sayed Mohammad Akbar Agha Syed Akbar Aqa hails from Kandahar Province and was the Leader of Jaish-al Muslimeen which emerged earlier 20041110 as a breakaway from the former ruling Taliban, who have waged a insurgency since their ouster in 2001. The new group is believed to have carried out a number of operations in the south, such as attacking fuel trucks supplying U.S. troops. But officials suspect it had the help of warlord militias or criminal groups with the bold daylight kidnapping. Pakistan has arrested Jaish-ul-Muslimeen head, Syed Akbar Agha, the alleged mastermind of the kidnapping of three U.N. election workers in Afghanistan. (20041100) The Pakistani· Information and Broadcasting Minister, Shaikh Rashid Ahmed, said in a statement that Agha was picked up from a flat in the port city of Karachi a week ago in Jan 2005 and his interrogation was in progress. Akbar Agha was accused of getting $1.5 million in ransom for release of three foreign workers of the United Nations, which were kidnapped in Afghanistan. The trio, who were overseeing Afghanistan's first presidential elections in October, were released on November 23 after three-and-a-half weeks in captivity. However, two of Agha's lieutenants, Mulla Ishaq and Habib Aga, had gone underground after the release of the U.N. hostages. The Jaish claimed the abduction of Shqipe Hebibi from Kosovo, Annetta Flanigan of Northern Ireland and Filipino diplomat Angelito Nayan from a busy Kabul street. The trio, who were overseeing Afghanistan's first presidential elections in October 2004, were released unharmed on November 23, 2004 after prolonged negotiations between representatives of the Afghan Government and the militant group during which the abductors set several deadlines threatening to kill the hostages. The Afghan Government insisted no agreement was reached with the abductors and no ransom was paid for the freedom of the U.N. hostages. Agha has told interrogators he later slipped across the border into Pakistan. Pakistan deported Agha to Afghanistan where he had been jailed in Pul-i-Charkhi Prison. Agha was freed from prison in Kabul after being pardoned by President Hamid Karzai on 20100402. Akbar Agha was supposed to serve a 16-year sentence for kidnapping three United Nations workers in the Afghan capital in 2004. "People from Kandahar had been demanding Akbar Agha's release for a long time. He is from a spiritual family - he's a Sayed, a descendant of the Prophet Mohammad, and that is why they wanted him released, said a Government official.· "He was pardoned on condition that he stays in Kabul. The government's paying the rent on his house - I think it's about $1,000 a month." He says that he has joined the mainstream Taliban of elusive spiritual leader Mullah Omar. 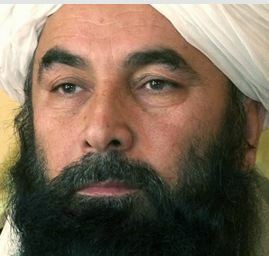 Sayed Mohammad Akbar Agha has no mandate to speak for the Taliban. He seems to be a turncoat criminal who is controlled by Karzai's Directorate of Security (NDS) and Pakistan's Inter Service Intelligence (ISI). He was a third line Taliban affiliate. The political movement – Rah-e-Nejat Afghanistan ‘Ways to Save Afghanistan’ announced its establishment during a gathering in Kabul city which was attended by a number of Taliban group members. The movement is led by former Taliban leader Syed Akbar Aqa who was sentenced to 16 years in prison for abducting three UN officials in 2004. Afghanistan's Taliban militia claim that splinter group that shot to prominence over last month's abduction of three UN workers has disbanded over allegations that its leader accepted ransom money for the hostages' release. "Jaishul Muslimeen ceased to exist following a rift among its top ranks," Mufti Latifullah Hakimi, who claims to speak for the mainstream Taliban, told the Afghan Islamic Press. Hakimi says it has been dissolved after charges that Agha dropped demands for the release of 24 Taliban prisoners and secured ransom money from Afghan authorities to free the hostages last week. Jaishul Muslimeen (Army of Muslims) claimed the abduction of Shqipe Hebibi from Kosovo, Annetta Flanigan of Northern Ireland, and Filipino diplomat Angelito Nayan. Hakimi said that Jaish spokesman Sabir Momin and other leaders have expressed no confidence in commander Agha. "Agha failed to secure the release of Taliban prisoners and took dollars in exchange for the hostages," Hakimi said.